Horses Killed by Falling Bricks. 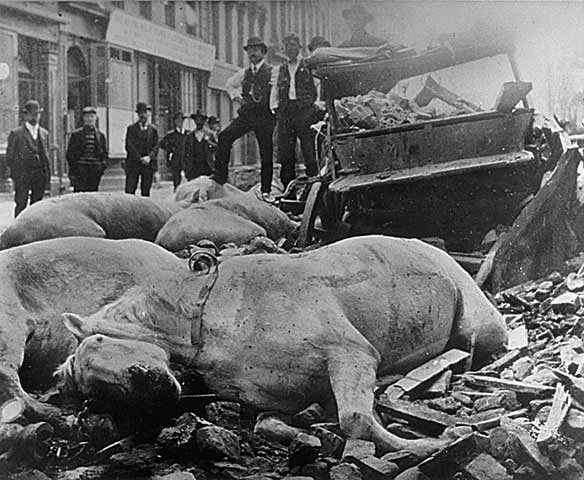 Falling bricks killed these horses in the fish wholesalers' district along Sacramento above Montgomery Street. This entire area later burned during the Great Fire.